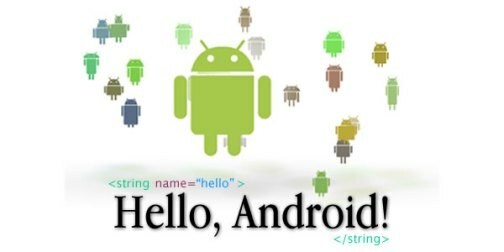 In the following tutorial we will create a Hello World App for Android. 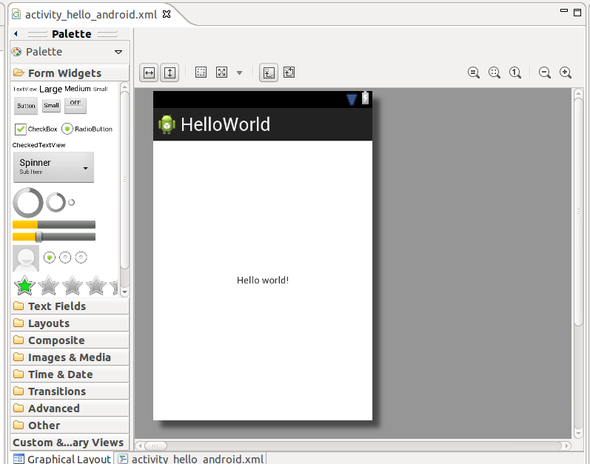 The application will display the typical “Hello world!” greeting when we run it through the AVD (Android Virtual Device). We’ll develop all the source code in Eclipse with the help of the ADT plugin (Android Development Tools) and test the application through AVD (included within the plug in). 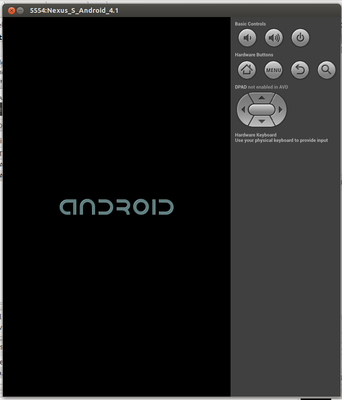 Eclipse ADT plugin (Android Development Tools) installed. 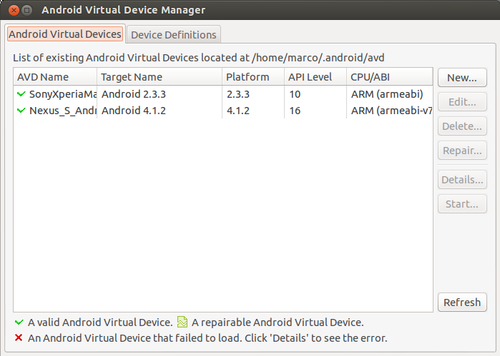 At least one Android Virtual Device configured. 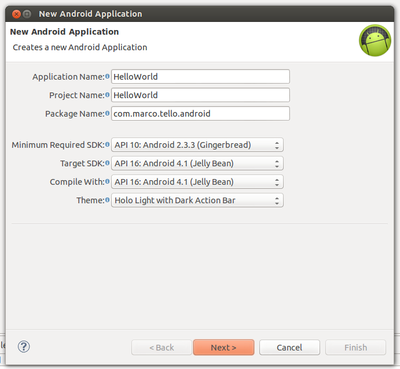 2.- Create the Android Project. 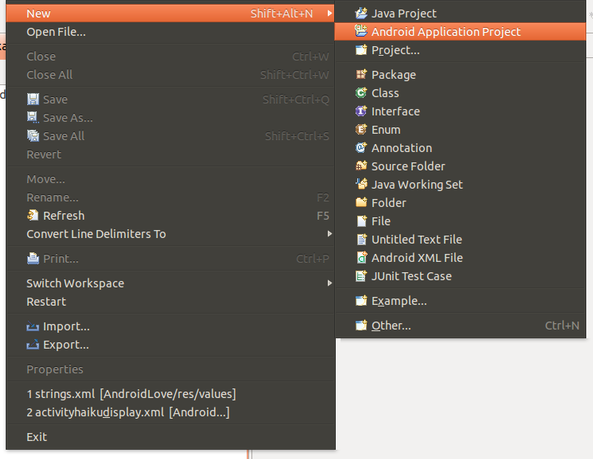 Select File > New > Android Application Project. 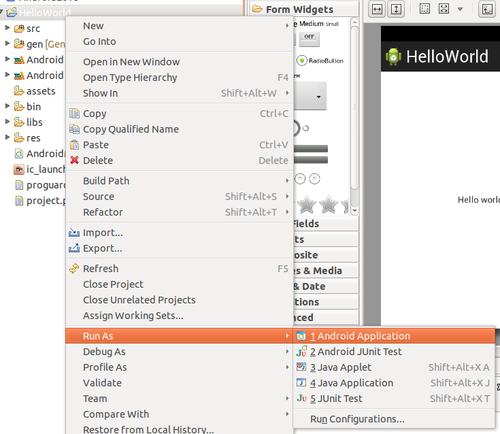 Application Name: HelloWorld (The name that will be displayed in the phone). Click Next and click Next again leaving the default options. The next screen introduces us the Icon launcher configuration, leave as default and click Next. 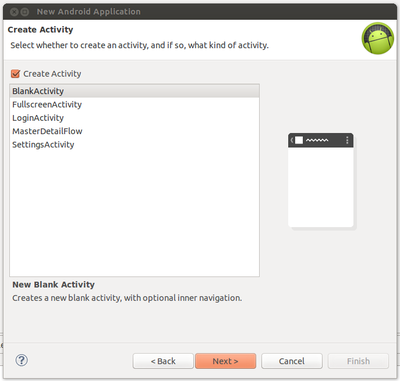 In the next screen check Create Activity and choose “Blank Activity” and click Next. 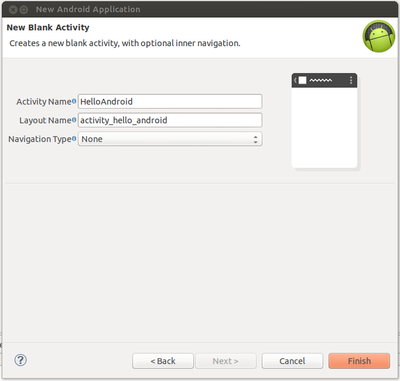 Name your Activity as “HelloAndroid”. The Activity is the default screen your application shows when it’s initialized. Click Finish and wait for the magic to end. 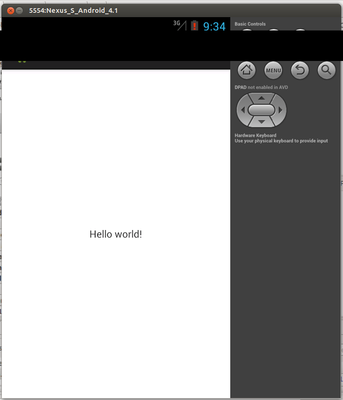 That’s it, your Hello World App is already created, you only have to run it. If you don’t have a Virtual Device configured yet, here are the instructions to configure one. You need to start your Virtual Device before you run the app. 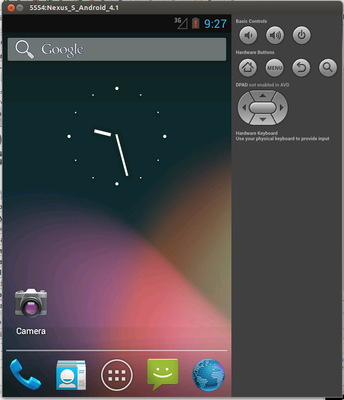 Open Android Virtual Device Manager and click the Start button. The emulator will start but it doesn’t have your app yet. To install the app in the Virtual Device emulator you have to select the project in the Package Explorer, right click on it and select Run as > Android application. And voilá! Your Hello World Application is up and running.